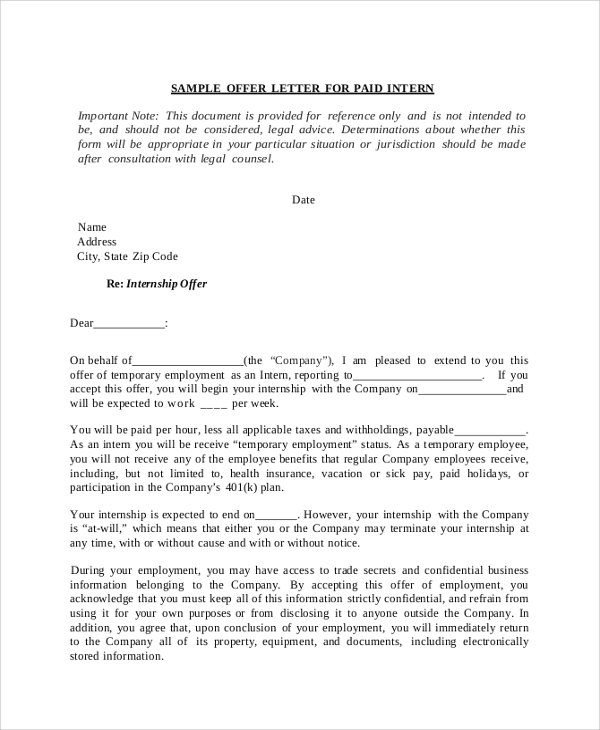 Various companies send out internship offer letters to students of universities and colleges to attend their internship programs for a fixed salary package. They can be summer internship or vacation internship. They can be considered as a job offer or appointment letters. 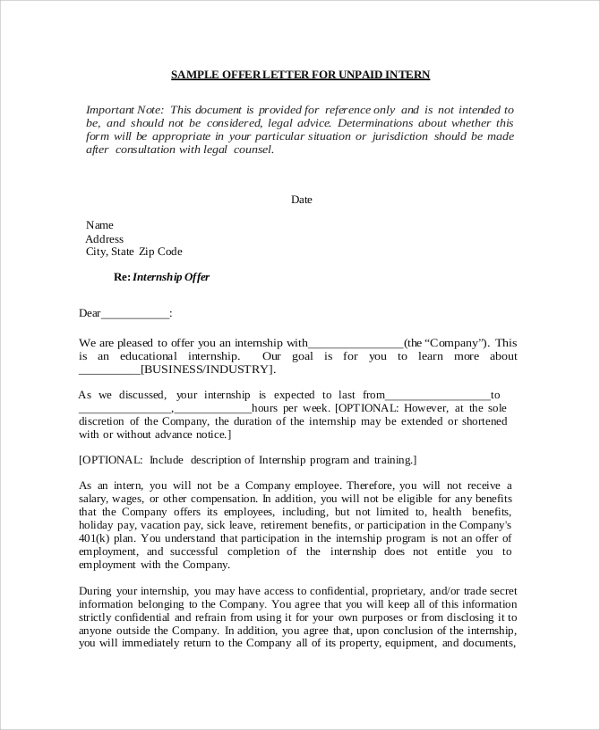 The following internship offer letter samples come with internship cover letter describing the company and its activities and why getting into such company will enhance their future prospects. They have all the provisions to mention the terms and conditions and other necessary details. 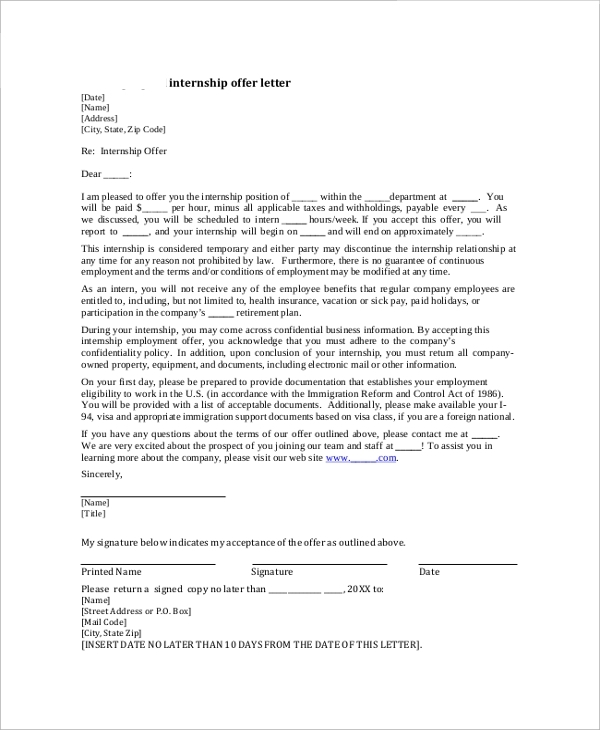 This is a clean and professional internship offer letter issued by willing companies. It states the position, start and end date, the number of working hours, salary package, terms and conditions and most importantly the responsibilities. It clearly mentions the time period within which the candidate has to respond if he accepts all the terms and ready to begin. 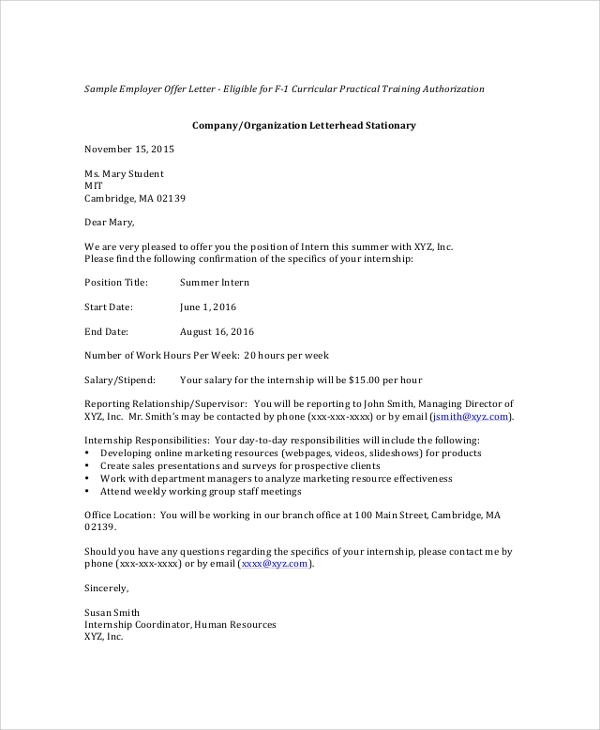 This is a directly and legal internship offer letter for candidates. It addresses specific candidates and congratulates them to get selected. It clearly states the rules, terms and conditions. It also mentioned the responsibilities, designation and the salary package. 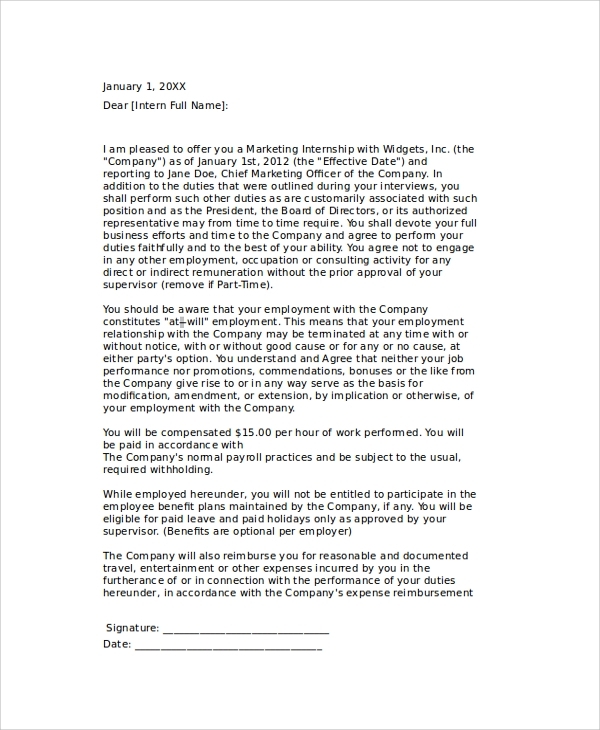 It also contains a form which the candidate has to fill and sign to accept the offer.You may also see job offer letters. 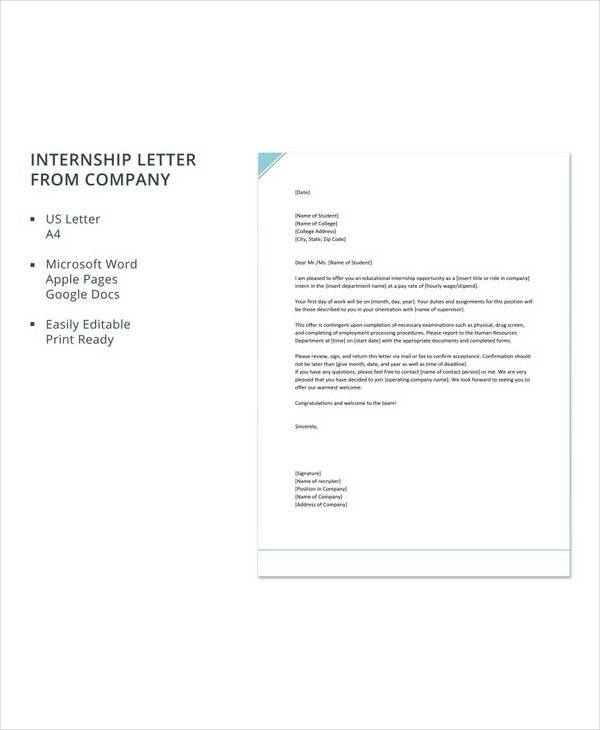 This is a formal statement from a company to advertise hiring of interns. It can be general to address all the candidates or it can be direct for individuals whom the company has already shortlisted to hire. It clearly states the position and the salary package. It also mentions any terms and conditions that the candidate has to agree. Sometimes, it also contains brief details about the company’s background.You may also see proposal offer letters. 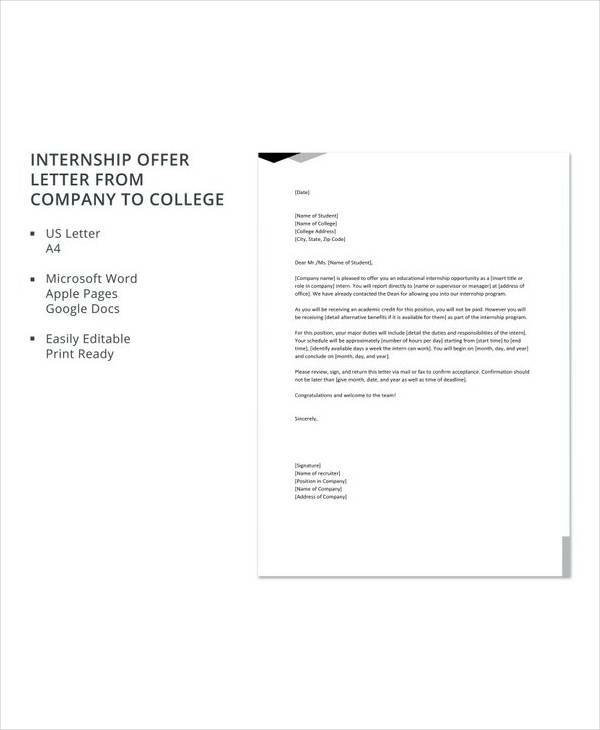 Internship offer letters are useful for companies to reach out the students and candidates with proper information to get acceptance letters. The more students and candidates they can reach out to, the more are the chances of getting the best talents out there for the position advertised. From a student’s perspective, such letters with covers can help them to find out all the required details about the background and whether they are suitable for the position and possess the required skills or not. There are provisions for knowing the salary package and other terms and conditions and responsibilities during the internship. 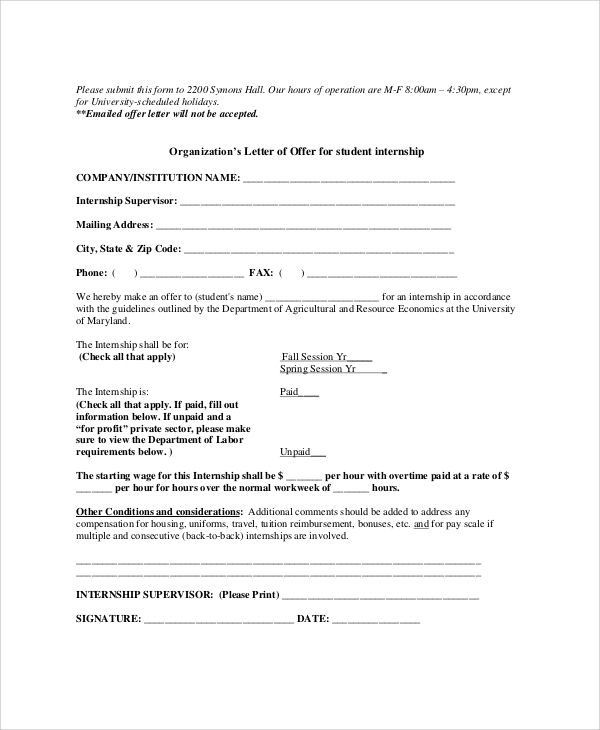 They also get the form by which they can apply for the internship program.You may also see employment offer letters. 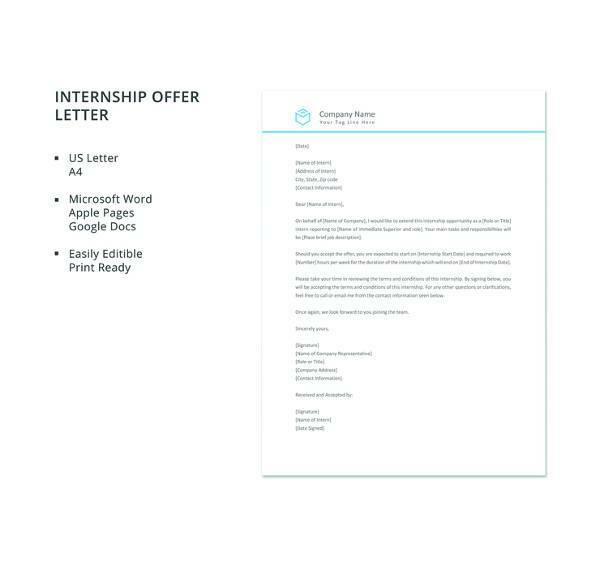 The benefits of such internship offer letters are to reach out with proper information to the targeted audiences. They help to establish the company’s reputation in the market and make them go viral through word of mouth. 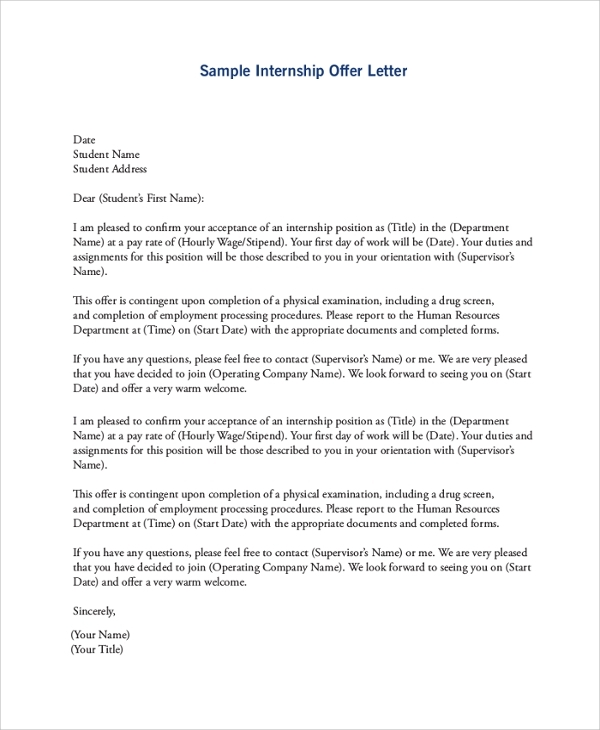 Such letters with covers provide all the required information of the position for which the internship is offered. The interested students can apply with the form available with the letters. Companies can use them to reach out to a specific set of a student with certain criteria or everyone in general. 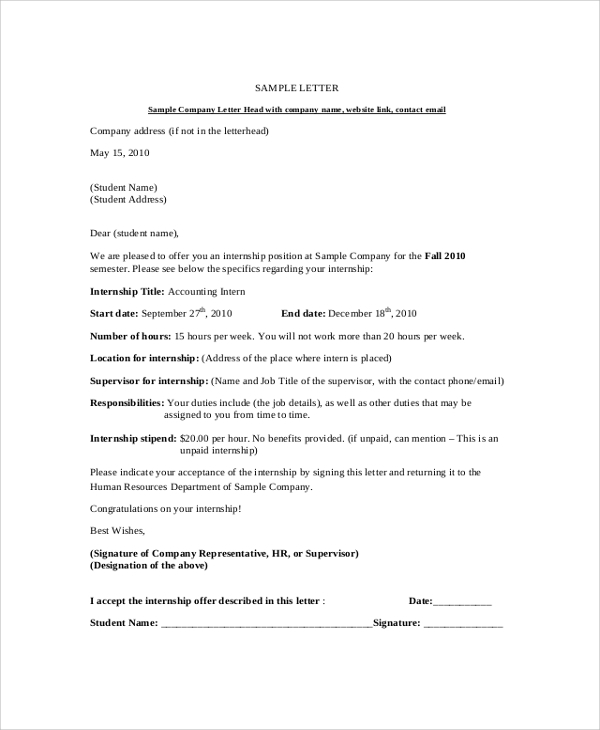 Internship offer letter samples listed above are professional and they are tailor-made with cover letter to showcase the company’s background and to make the candidates interested in internship programs offered. They come with internship acceptance form and all required provisions. They are professional and useful for small to even large organizations and companies.